Welcome to the Dixie State University Castle Rock Music Camp 2018! Castle Rock Music Camp provides a week of intensive musical instruction for music students with artist faculty. Students will have the opportunity to strengthen their technical, interpretive and performance skills through intermediate and advanced level instruction. Dixie State University is proud to sponsor the Castle Rock Music Camp in June 2018! Join us in sunny St. George for a week of exciting orchestra, chamber, and piano music. We're delighted to feature strings and piano students this year! Come make new friends, learn new music, and enjoy working with Dixie State and Guest Artist Faculty in our state-of-the art Eccles Fine Arts facility. 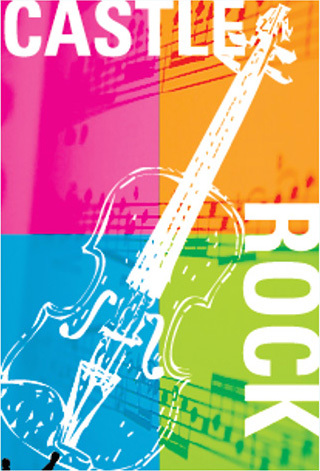 Castle Rock music students participate in performance instruction, daily sectional and ensemble rehearsals, musicianship classes, orchestra rehearsals, master classes, fun activities and a final concert in our beautiful Eccles Concert Hall!